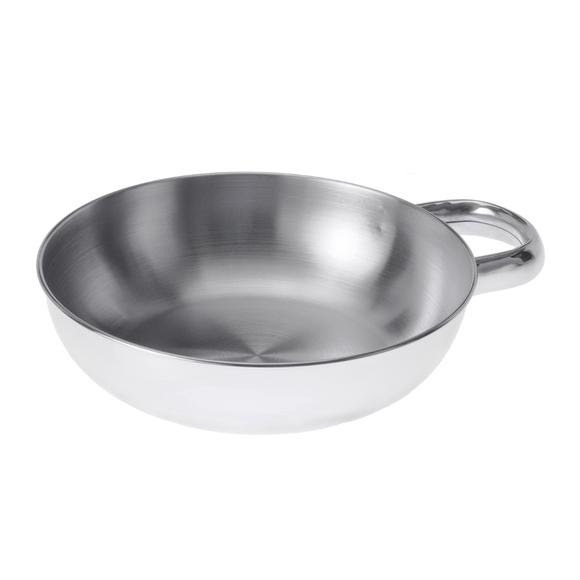 GSI Outdoors' ultra-clean bowl with a sturdy handle that is great for soups, cereals, prep-work or even a cooking pot, is a rugged camp work-horse whose in-camp uses are endless. Use it as a serving piece, cookware, dinnerware or to ward off a sneak attack by a pesky, yet rather large raccoon. GSI Outdoors&apos; ultra-clean bowl with a sturdy handle that is great for soups, cereals, prep-work or even a cooking pot, is a rugged camp work-horse whose in-camp uses are endless. Use it as a serving piece, cookware, dinnerware or to ward off a sneak attack by a pesky, yet rather large raccoon.